In the middle of a very dark, valley season in my life, I received an email with a link to a documentary that would soon be released about a Pastor in Korea who saved babies’ lives by installing a “drop box” on the side of his church building. I was deeply touched by the trailer and remember putting my face in my hands and weeping, overwhelmed by emotions- pain, emptiness and gravity at the idea of precious lives being thrown away, but also hope and courage and joy thinking of the people who would sacrifice their own lives to rescue them. This picture of Love branded my heart. It was permanent. I lived in MD and couldn’t even dare to voice the dream that I could visit this place one day, and see this amazing thing for myself.Within the next year, God uprooted and moved our little family to Budapest, Hungary. My husband and I began new teaching positions at an international school, where my children also attended, beginning in 1st and 2nd grades. 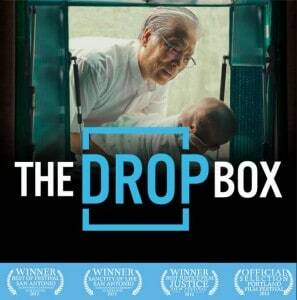 When The Drop Box movie was released in the USA, I was heartbroken to not be able to be there and experience it. But somehow, a friend got a hold of it on DVD, and sent it to me in Budapest. As soon as I could, I popped it into my laptop and couldn’t believe what I saw. My husband came in with a box of tissues because he could hear me crying from the other room. I think I cried from the opening moment, all the way to the end of the film. All I could think of was Love. The power and depth of Love I saw. Love that knew the true value of lives that the world was literally throwing away. The value of each person- that there are no mistakes with God. That He creates each one with a purpose. I saw humility in P. Lee… his willingness to lay down his life for his son, to take in and love and be a father to children with severe disabilities, and the way he and his wife were so brave, so bold about the work that God had given them. How could someone love like that? God used this film to awaken and restore areas in my heart that had been scorched and laid wasted, dry, broken. There was something about the wholeness of this love that was healing me. About 4 years later, through a long and winding road of God’s handiwork, I was given the opportunity to visit our long-time missionary friends and the church we are connected to in Seoul. Every detail of this trip was cushioned with God’s favor and amazing, clear direction. I was so excited to visit Asia for the first time and to spend time with people that I care about. It was a week that I knew I needed to hit the reset button and have some time to think and be poured into by God. Of course, when I knew I’d be coming to Seoul, I wondered if I could ever visit the Babybox (as they call it in Korea). It seemed impossible for many reasons, but it was so deep in my heart that I couldn’t stop thinking about it. I decided to reach out the only way I knew how- through their Facebook page… never thinking that I’d get a response. But! I did! And not just a response, but a warm welcome and invitation from Mr. Yang, the director of the community office. Time passed, trip preparations continued, and I was given a day and time that would be best for me to come. Wednesday, February 27th at 2 pm. I arrived in Korea on that Monday and settled in with my friends. The trip from Budapest on Sunday/Monday and all that happened on Tuesday is enough for another 3 pages of writing, so I’ll save that for later. It’s enough to say that I was filled, blessed, encouraged. I met a sweet new friend who does translation at the church, and asked her if she had time to come with me on Wednesday… thankfully she agreed to help! Little did I know how much I would need her that day. OK, so now we get to the point. It’s hard to summarize 4 years. Seoul is massive. It makes Budapest feel like a countryside village. I was to meet my new friend Wendy at a subway station so we could travel together to the Babybox. From the station near my friend’s house, it was almost an hour on the subway to our meeting spot. I felt kind of brave, but mostly scared to death (not unusual these days) as I took the bus through the narrow and winding streets toward the station. My chest hurt, wondering if I would get lost or not be able to find Wendy, or if I would miss my meeting time. All the announcements in the bus were in Korean, I was using 3 apps to navigate and count stops and make sure I was not going to miss my stop. I got off at the right place, stopped by a Starbucks (a sight for sore eyes, indeed! ), and found the subway station. Sitting in the subway, I could feel my heart pulling. Real, physical tightness. What am I doing? This is insane. A 40 year-old mother of 2… traveling across the world, alone on a subway. Blonde and no possibility of blending in, lots of sideways glances and nothing looking or feeling normal or comfortable in any way. Am I crazy? I met Wendy (yay! ), and we continued to another subway, and then to a taxi for the rest of the way. The taxi driver asked where I was from and immediately launched into his (rather extensive) knowledge of American history. He was listing presidents and their accomplishments and he just kept going and going. Wendy and I were kind of giggling in the back seat because he was really excited about it all. ​I asked him what he knew about Abraham Lincoln. “He freed the slaves”, he said. We talked a little about the Civil War, about freedom not being free, about people who gave their blood for their countries and families’ sake. We talked about Jesus. His blood and sacrifice and how high a price He paid for our freedom. That our freedom wasn’t free either, that we have great value and worth to our Creator.He had some problems with Christians. 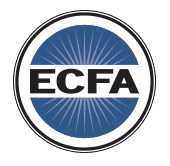 Abuse of power, people living without consequences under the guise and “untouchable-ness” of being a pastor, real trust issues with Christians in general… heartbreaking words and good reason to doubt God’s heart. “I’m so sorry”. Was all I could say. “I’m sorry”. We left him with a Farmer’s Outreach bracelet and tract, paid and jumped out… and there we were.